Located 2.5 km from Peasholm Park in Scarborough, this holiday home features a barbecue. The property features views of the garden and is 4.1 km from ..
Set in Scarborough in the North Yorkshire Region, this holiday home features a garden with a barbecue. The unit is 2.5 km from Peasholm Park. The kit.. The Barn is a holiday home located in Scarborough, 2.5 km from Peasholm Park. The unit is 4.1 km from The Spa Scarborough. A dishwasher and an oven c..
Fell Cottage is a cottage situated in Scarborough, 2.5 km from Peasholm Park. It provides free private parking. A dishwasher, an oven and a toaster c..
Set in Scarborough in the North Yorkshire Region, this holiday home is 2.5 km from Peasholm Park. The cottage is 4.1 km from The Spa Scarborough. A d..
Troutbeck Cottage is a holiday home with a barbecue, situated in Scarborough. Featuring free private parking, the cottage is 2.5 km from Peasholm Park.. Situated in Scarborough, this holiday home features a garden with a barbecue. The unit is 2.5 km from Peasholm Park. Free WiFi is available throughout..
Castle View is a holiday home with a garden, located in Scarborough, 2.5 km from Peasholm Park. The cottage is 4.1 km from The Spa Scarborough. Free W.. Situated in Scarborough, this holiday home features a barbecue. 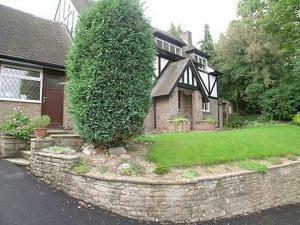 The property is 3 km from Peasholm Park and features views of the garden. The kitchen..
Offering a terrace and views of the garden, The Oakwheel is set in Scarborough in the North Yorkshire Region, 4.2 km from Peasholm Park. Guests can en..